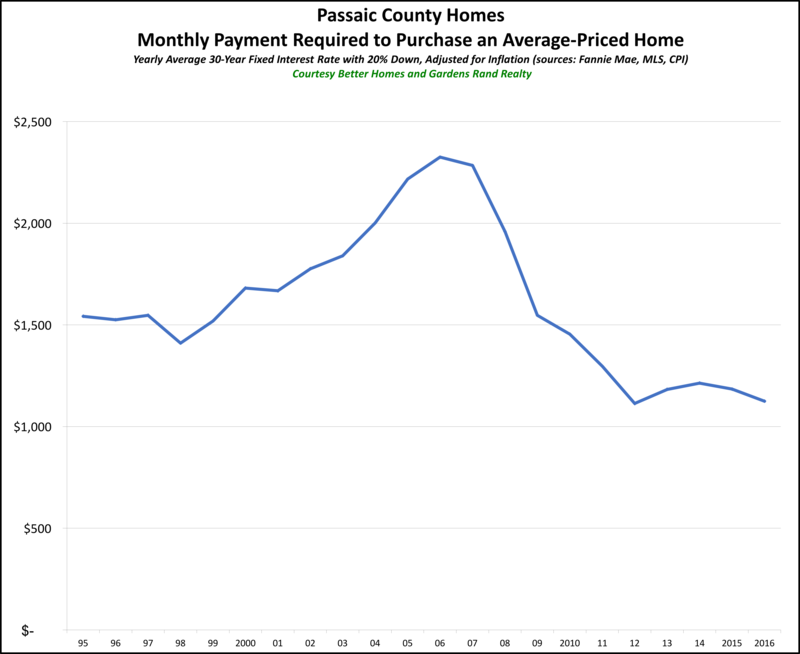 The Bergen County housing market continued to gain momentum in the third quarter of 2015, with sales up sharply and modest price growth. If buyer demand continues to grow, it’s only a matter of time before we start seeing more meaningful price appreciation. Sales. Bergen single-family home sales surged again in the third quarter, rising 14.1% for the quarter and now up 9.0% for the rolling year. This marked the fourth straight quarter that year-over-year sales were up, and the second time we saw a double-digit increase. Indeed, we are starting to see transactions at “seller market” levels, with the 5,999 rolling year sales higher than any full calendar year since 2006. Prices. With these sustained increases in buyer demand, we’re also seeing some upward pressure on pricing. Prices were up for the quarter, rising 2.5% both on average and at the median. We’re also starting to see meaningful price appreciation over the longer-term, with the rolling year average sales price up 2.3%. Overall, the market has recovered from the bottom, with the $572,775 rolling year average price higher than the calendar year price for any year since the market correction in 2008. Negotiability. The negotiability indicators were a little mixed. Homes were getting into contract more quickly, with the days-on-market falling 7.7% for the quarter. But the listing retention rate fell a bit to 96.2%, indicating that sellers are not able to command offers closer to their asking price. Condos & Coops. The Bergen condo market was up, but not as sharply as the single-family market. Quarterly sales were up 4.6%, but pricing was mixed. For the year, sales are basically flat (up 1.2%), and pricing is up just a tick. We expect that if the single-family market takes off, the condo market will follow. 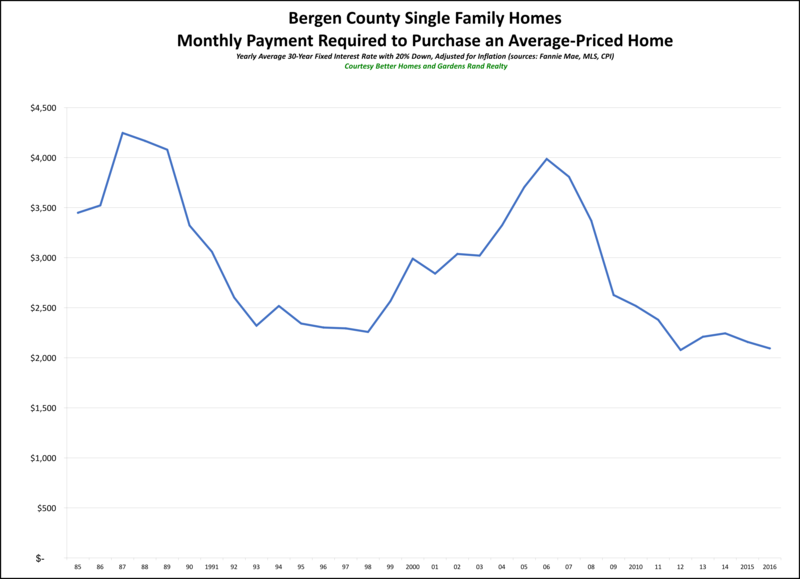 Going forward, we remain bullish that the Bergen County housing market is moving in the right direction. Buyer demand is strong, which is driving up sales and starting to have a meaningful impact on pricing. With pricing close to 2004 levels, rates near historic lows, and the economy relatively stable, we expect demand to stay strong through the end of the year and into 2016.